Men there have been, ignorant of letters; without art, without eloquence; who yet had the wisdom to devise and the courage to perform that which they lacked language to explain. Before European explorers started searching for new trade routes to India in the Fifteenth Century, journeys by ship were comparatively short in duration and on a course not too distant from land. The ‘lookout’ was described as the best navigator. Once ships were spending weeks without sight of land, it was impossible to know their precise position. Dead reckoning—a procedure involving keeping a log of direction and speed for calculating a ship’s position—could end up being miles out and put lives in danger if a ship ended up being smashed up on rocks. And many did. On the night of October 22, 1707 almost 2,000 British sailors lost their lives when four Navy ships heading home from Gibraltar struck the rocks of the Scilly Isles off the south-west tip of England. They had been blown off course by bad weather and didn’t realise their true position. Knowing the position of a ship requires two coordinates: latitude and longitude. Latitude, seen on a map of the globe as horizontal lines, is measured by determining the angle of the noon sun to the horizon or at night by the angle to a celestial body to the horizon. Many aids have been used over the centuries to measure these angles culminating with the invention of the marine sextant in the mid-1700s. Longitude, shown as vertical lines going from pole to pole, is not so easy. Each 24 hours the Earth rotates one full turn of 360 degrees. One degree of longitude is 1/360 of 24 hours or 4 minutes. By knowing the current time at the starting point of a journey and the local time, one can calculate the difference in longitude. Knowing both the latitude and longitude means one can plot a ship’s position on a map. It would take another hundred years before the first Nautical Almanac was produced by the fifth Astronomer Royal, Nevil Maskelyne, in 1767. The British Parliament followed other countries in 1714 by establishing a Board of Longitude with prize money to reward a longitude solution that was both ‘practicable and useful at sea.’ An award of £20,000 would be made if longitude could determined within half a degree. The enormous sum of money for its day brought forth a flood of proposals that were neither practical or useful. But it would eventually inspire a carpenter and amateur clockmaker from the north of England to take up the challenge. John Harrison was born on 23 March 1692, the first of five children of Henry and Elizabeth Harrison from the village of Foulby in Yorkshire. Henry was a carpenter and joiner, a church warden and a parish clerk. In 1698 the family moved to Barrow on Humber in Lincolnshire on the east coast of England. John, and his younger brother James, would both follow their father in becoming carpenters and joiners. When six years old, and lying sick of small-pox, a going watch was placed upon his pillow, which afforded him infinite delight. One of John’s interests was in repairing clocks and, encouraged by his father, led him into making his own clocks. John Harrison built his first clock—a longcase or grandfather clock—in 1713 with a mechanism made entirely from wood, except for the metal escape wheel. In 1720, with the help of brother James, he designed and built a clock for the estate of the Charles Pelham, Earl of Yarborough. Up till this time clocks had typically used an ‘anchor’ escapement mechanism to regulate the time and create the ticks. This needed oiling and eventually the oil would gum up and the clock would stop. Harrison’s solution was to invent a ‘grasshopper’ escapement to regulate the time. The secret of the success of this device was due the use of an African wood, lignum vitae, that self-lubricates. It meant that time keeping accuracy was improved by a factor of ten. This clock still runs today and is accurate within one minute a week. By the mid-1720s Harrison had built three longcase pendulum clocks with unheard of accuracy—keeping time to 1 second a month. As well as using the ‘grasshopper’ escapement, in 1726 he invented a bimetallic gridiron pendulum to minimize the increase in the length of a pendulum with a rise in temperature, which would slow down the clock. On the personal front, Harrison had married Elizabeth Barrel in 1718 and after she died eight years later he married his second wife, Elizabeth Scott in 1726. Harrison fathered three children, John from his first marriage and William and Elizabeth from his second. William, born in 1728, would play a major part in his father’s later work in perfecting a sea-going clock. By this time Harrison was confident he could build a clock to meet the requirements of the Longitude Board. In the 1728 he travelled from Barrow on Humber to London and was able to meet with Edmond Halley, the Astronomer Royal at Greenwich. Halley was sufficiently impressed with Harrison’s proposal that he referred him to the renowned London clockmaker, George Graham. This was a crucial meeting because Graham gave Harrison financial support to allow him to start work on his revolutionary clock. A pendulum clock could not be used because any movement would result in errors in the time. Harrison’s solution was to use two huge balances and springs instead of a pendulum and this time to use brass mostly instead of wood. It was an incredibly complex machine of some 1500 parts and took seven years to build. After testing it on the Humber river, Harrison brought it to London to show scientists from the Royal Society. This was the first device that the Admiralty considered worthy of a sea trial. In May 1776, Harrison and his clock which we now identify as H1, sailed on HMS Centution bound for Lisbon. It was on the return voyage on HMS Orford that the timepiece showed it worth. As they approached England Harrison told the Captain the land ahead was Lizard Point according the position he calculated using his clock to determine the longitude. Harrison was right. The reckoning of position by the ship’s officers was 90 miles east of their actual position. Harrison’s clock, in its large 1.8 cubic metre wooden and glass case, weighed 34 kg. He could see this was not a practical solution and planned to build an improved version. The Admiralty requested a meeting of the Commissioners of Longitude who, on 30 June 1737, agreed to pay Harrison £250 for start work on the next version with the expectation this would be completed in two years, when a second payment of £250 would be made. Now based in London, by 1740 Harrison had a working clock, but with a serious flaw in its design for shipboard use. He then began work on his H3 clock. By 1745 it was being tested but was not accurate enough. He kept making refinements and adjustments for another 14 years, eventually coming to the conclusion that a new approach was needed. It is reasonable to think that so extraordinary a success in his first performances, could not fail of prompting a genius so inquisitive and enterprizing as that of Mr Harrison, still to attempt further things. Harrison now turned his mind to investigating watches. The best watches available at the time gained or lost about a minute a day. He conducted a range of experiments and in 1753 commissioned the London watchmaker John Jefferys to make a watch to his specifications. This incorporated a heavier, faster balance than normal which provided markedly improved performance under movement. He was then in a position to proceed with designing and building a watch that would not only keep time under movement but would have minimal friction and automatic compensation for changes in temperature. It took him another six years to finish his masterpiece—a beautifully crafted work of art and precision housed in a 13 cm diameter silver case weighing only 1.45 kg. initial tests showed it lost just under 3 seconds a day, a 20 times performance improvement over a watch of the period. His H4 chronometer would turn out to be the prototype for chronometers and precision watches to follow. The first sea trial of H4 was a voyage leaving from Portsmouth, England on 18 November 1761 bound for Kingston, Jamaica. John Harrison, now 68 years old, left it to his son, William, to be the custodian of H4 on board HMS Deptford. On arrival in Jamaica 81 days and five hours later, the watch was found to have lost only 5.1 seconds. This corresponded to an error in longitude of zero degrees, 1.25 minutes, or approximately one nautical mile. This performance was far in excess of that required by the Longitude Board to deliver the prize but they called for another trial in 1764 because the first one might have been a “fluke”. This time the voyage on HMS Tartar by William Harrison with the H4 chronometer was to Bridgetown on the island of Barbados. Astronomical observations were completed and William returned home on the New Elizabeth 156 days later on 18 July, 1764. During this period the watch had gained only 54 seconds, again demonstrating its outstanding performance. Up till this time there had been no real competition for the prize from the Longitude Board. Harrison had fulfilled all the requirements and was expecting to be awarded the prize. Now the astronomer, the Reverend Nevil Maskelyne, was promoting the Lunar Distances system and as many committee members of the Longitude Board were also astronomers who were prepared to back Maskelyne. It became even more political when Maskelyne was made Astronomer Royal in February 1765 and an ex-officio member of the Longitude Board. After protracted wrangling, eventually the Board decided to award Harrison with a £10,000 payment to be followed by a further £10,000 payment subject to certain conditions, including taking over all four of Harrison’s clocks. One of the conditions was for Harrison to disclose full details of the construction of the watch so that another watchmaker could produce a copy. In 1765, 46-year-old master craftsman Larcum Kendall was commissioned to make a replica of John Harrison’s H4. This was completed and delivered to the Board on 13 January 1770. He was awarded the sum of £500 for his trouble. Lendall’s copy, known as K1, was used by James Cook in his second and third voyages of discovery, calling it his ‘trusty friend’ and his ‘never failing guide’. The key issue that the Board faced was that an accurate chronometer was expensive. Other watchmakers were encouraged to made further copies and derivations from Harrison’s work with the hope that costs would come down. 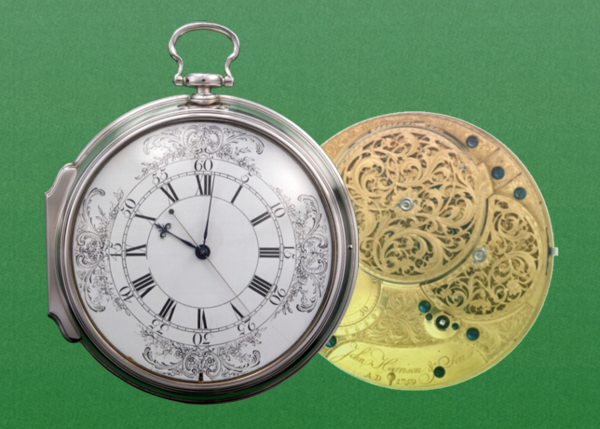 Harrison’s claim to the prize money was only resolved after he made another copy of his watch—H5—and an approach made by William Harrison to King George III to see the instrument for himself and intervene on Harrison’s behalf. This happened and in June 1773 Harrison did receive a special payment of £8,750 which, although it was not the prize, did bring the amount of payments over the years to more that £20,000. John Harrison died not long after on 24 March 1776 in London aged 82. Harrison, through his fifty years of working on clocks had shown that the impossible was indeed possible. Affordable marine chronometers would not be available until well into the 1800s and mechanical chronometers were in production until the third quarter of the 20th Century when quartz-based instruments became available. For ocean yachtsmen celestial navigation is still used today as the primary navigation method or as a back-up for the Global Positioning System. Fundamentally, his genius was that of being a creative problem solver. The records show us that over a fifty-year period John Harrison made at least three longcase clocks, a tower clock and five marine clocks. What we don’t know is how many clocks he actually assembled and took apart to modify and reassemble. In doing so he was solving problems on the way to achieving his objective of producing accurate timepieces. (2) the external world of a person’s observation skills of the cause of the problem and abilities to actually produce a possible solution. The result of which is observed and the process repeats if necessary. Purpose: Harrison had a clear purpose in mind-(Internal World) to produce an accurate sea clock. Where a problem is identified, e.g. clock running slow, then clarifying the nature of the problem would be needed, such as under what circumstances does the clock gain or lose time? 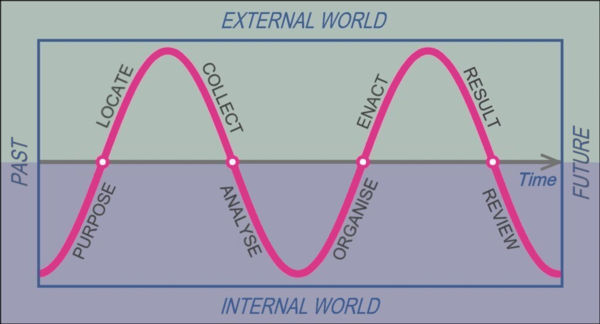 Locate: This step involves knowing where to go to locate the needed data and information to analyse. For example, Harrison would have needed access to a thermometer to measure the temperature and use celestial observations to find the actual time. He would also need to break down the problem into manageable parts, such as focusing on the pendulum. Collect: Harrison no doubt would have isolated the pendulum and measured and recorded the expansion of the rod with the increase in temperature. At some stage he would also have collected information – perhaps from books or a knowageable person—on the expansion rates of different metals, such as iron and brass. Analyse: This is where Harrison’s genius comes into play. Using lateral thinking he was able to use his knowledge of the different expansion rates of iron and brass rods to realise these two materials might be able to be combined in some way to create a pendulum that would not change length with a change in temperature. Organise: Here a problem solver must choose from possible solutions. In this instance Harrison come up with the design for the grid-iron pendulum, consisting of nine rods in all, five iron and four brass—the perfect solution for its day. Harrison was also able to call on his store of knowledge in creating a solution to a problem. For example, he used his vast knowledge of the characteristics of wood to select the most appropriate species for making the parts for his wood-based clock mechanisms. Recent scientific studies of the construction of these clocks have confirmed his choices were inspired. Enact: We’re told there were some 1500 parts in his first sea clock, H1. Harrison made each one, in some instances many times before he got it right. He was a master craftsman in producing these works of art which gained the respect of the master clock makers and scientists of the day. Later he would specify what parts he needed made to other craftsmen. It appears Harrison’s approach to solving problems is similar to that used by Thomas Edison a century later. Both had clear mental models of the end result they were looking for and were prepared to make numerous experiments in coming up with a solution to their need. In 1875 Edison began work on developing the telephone. He started by investigating the crude devices already invented. In 1861 the German inventor Philip Reis had made a device that could transmit musical tones and on-off messages. He did not envisage a device for transmitting and receiving a voice. Alexander Bell in the US took Reis’ work and by 1876 had refined it further to produce a telephone for voice transmission but it just wasn’t good enough. He was on the right track but he didn’t have the ability to refine it further. During 1877 Edison and his assistants conducted hundreds of experiments trying to find variable resistance material that could enable the sound of a voice to be converted to an electrical signal. By 1878 Edison had a working telephone transmitter. This would eventually be taken up by the Bell company and end up being mass produced for the telephone industry boom to follow. Longitude, the TV movie based on Dava Sobel’s book of the same name, was first shown in 2000. It starred Michael Gambon as John Harrison and Jeremy Irons as Rupert Gould who restored Harrison’s clocks during the period 1920–1933. “Charles II and the Royal Observatory Greenwich,” The Royal Collection Trust, https://www.royalcollection.org.uk/collection/themes/exhibitions/charles-ii-art-power/the-queens-gallery-buckingham-palace/charles-ii-and-the-royal-observatory-greenwich. Rupert T. Gould, “The History of the Chronometer,” The Geographical Journal 57, no. 4 (1921): 253–268. Samuel Smiles, Men of Invention and Industry (London: John Murray, 1890), 78. William Oldys, ed., The Lives of the Most Eminent Persons who have flourished in Great Britain and Ireland, vol. 6, pt. II (London: Biographia Britannica, 1766), 225–229. Smiles, Men of Invention and Industry, 78. J.J. Tattersall, Nicholas Saunderson: The Blind Lucasian Professor, Historia Mathematica 19 (1992): 363. BBC History of the World, “The Clock That Changed the World,” Youtube video, 29:01, August 22, 2012, https://www.youtube.com/watch?v=T-g27KS0yiY. “Looking for a new John Harrison,” Royal Museums Greenwich, https://www.rmg.co.uk/discover/behind-the-scenes/blog/looking-new-john-harrison. Smiles, Men of Invention and Industry, 81. Stephanie Pain, “‘Lone’ longitude genius may have had help,” NewScientist, May 14, 2009, https://www.newscientist.com/article/dn17119-lone-longitude-genius-may-have-had-help/. Smiles, Men of Invention and Industry, 93. Oldys, The Lives of the Most Eminent Persons, 226. Seymour L. Chapin, “Longitude by Chronometer,” Astronomical Society of the Pacific, Leaflet no. 299 (March, 1954): 393. Edmund Burke, ed., Annual register, or, A view of the history, politics and literature for the year 1765 (London: J. Dodsley, 1765) 121, https://hdl.handle.net/2027/njp.32101076875374. Jonathan Betts, Time Restored: The Harrison Timekeepers and R.T. Gould, the Man Who Knew (Almost) Everything (Oxford: Oxford University Press, 2006), 98. James R. Newman, ed., The World of Mathematics, vol. 2 (New York: Simon and Schuster, 1956), 807. Dava Sobel, Longitude: The True Story of a Lone Genius Who Solved the Greatest Scientific Problem of His Time (London: Fourth Estate, 1996) 69. Michael E. Gorman and W. Bernard Carlson, “Interpreting Invention as a Cognitive Process: The Case of Alexander Graham Bell, Thomas Edison, and the Telephone,” Science, Technology, & Human Values, 15, no. 2, (1990): 131–164. Posted in problem solving and tagged john harrison, longitude, marine chronometer, problem solving.